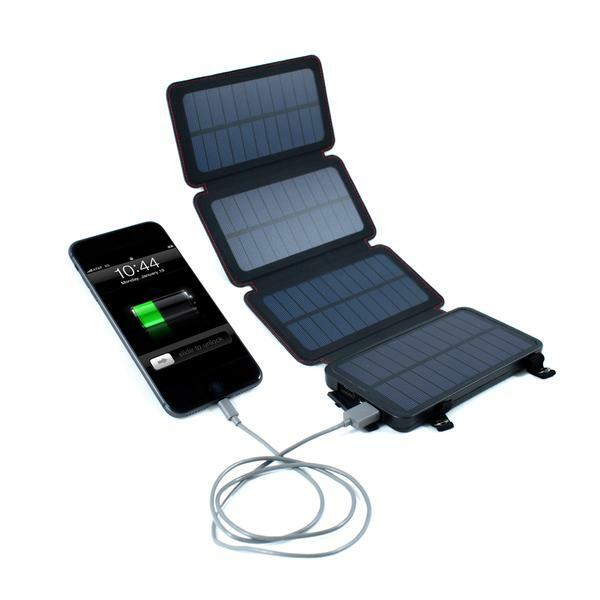 4 Powerful 4.8W Solar Panels Quickly Charge the 6,000mAh Power Bank. Folds Neatly into a Genuine Leather Wallet with Loops & Magnets to Easily Attach Anywhere. Charges a Cell Phone Battery 1.5x and is Water Resistant. Ultra-Bright LED Light Shines the Way. Click for 100% Satisfaction from Largest Survival Store Online.